Whilst the probability continues to strongly favour Obama being re-elected as illustrated by InTrade that allows market participants to trade the US election, which is showing a 71.3% probability for an Obama Win. 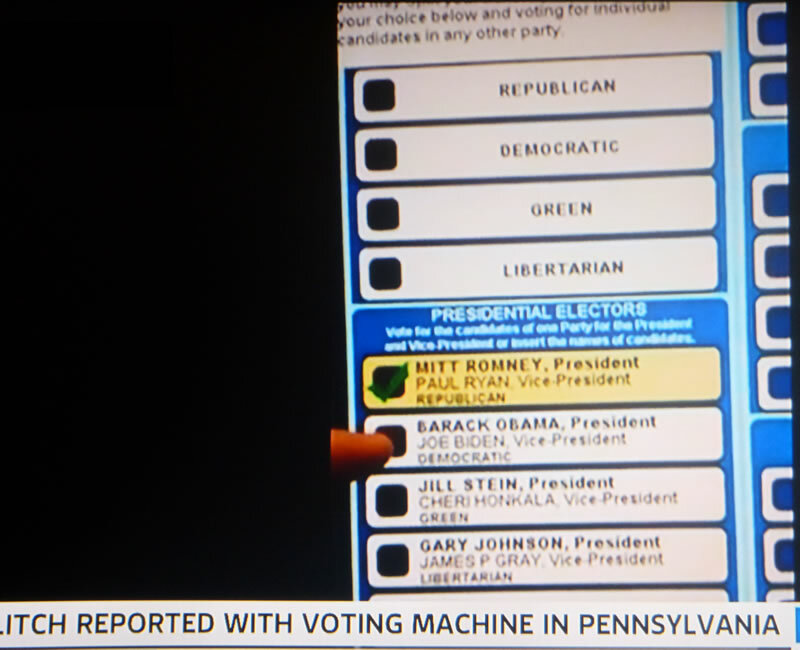 However reports are coming in that at least some voting machines are miss recording votes made for Barack Obama that are being registered as votes for Mitt Romney as the below photo's of a voting machine in the tight swing state of Pennsylvania illustrates. 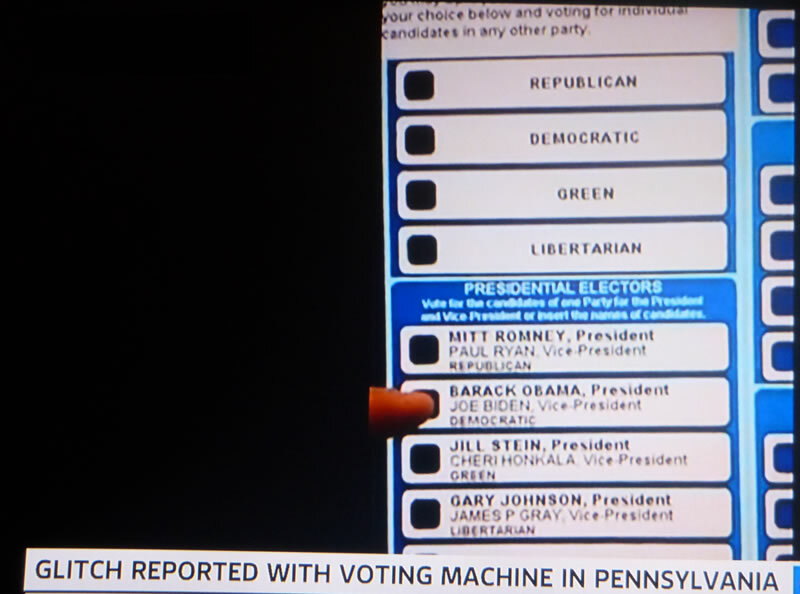 It remains to be seen if these are just mere glitches in the system or of something more ominous, but clearly in the case of a close election outcome, this and other instances of election glitches will be a factor that lawyers on both sides will call on to dispute the election outcome, especially if the margin of wins in the swing states comes down to a less than a couple of hundred thousand votes.